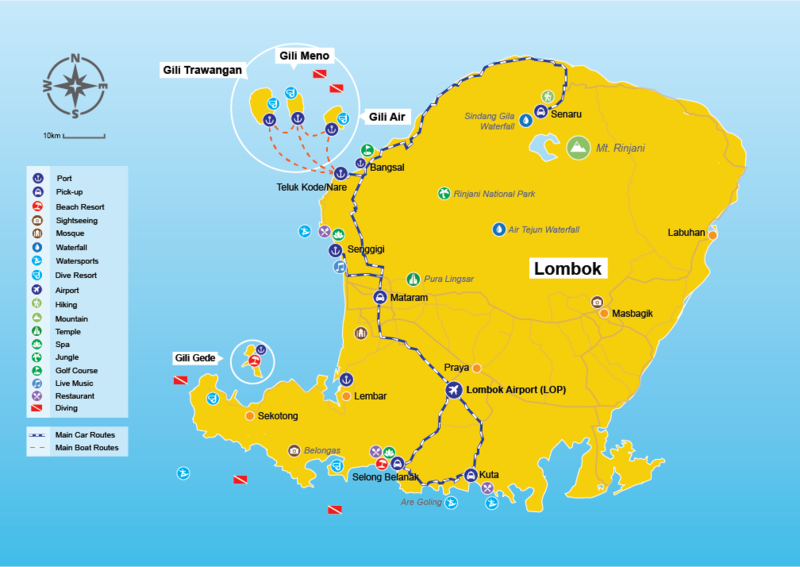 Gili-Islandtransfers.com offers a no frills online airport transfer service from Lombok to the Gili Islands. Just use the search box above to see the details, book, pay and receive your e-booking. All transfers are fully refundable up to 2 weeks from travel, and we offer free dates changes more than 48 hours from departure. Gili Island Transfers is a unique 'no frills' online booking system where you can make immediate confirmed online bookings, and receive e-tickets straight away for land an sea transfers on and around the Gili Islands and Lombok. This includes inter island speed boat transfers as well as airport transfers from Lombok international airport. NOTE: Online bookings cannot be made less than 24 hours from departure time. Simply use the search box at the top of this page to make a booking. For the best selection of hotels at the best prices we are linked to booking.com, agoda.com and hosteworld.com, simply click on the hotel page links to see what is available at the best rates available online. Our travel tips are provided by our sister company www.gilibookings.com who work together with the most reputable fast boat companies servicing the Gili Islands from Bali, and offer a complete service including discounted activites, full customer service and are recommended by The Lonely Planet for making fast boat bookings from Bali to Gili online. Payment on Gili Island transfers can be made using your credit card or your PayPal account through PayPal's secure payment system.